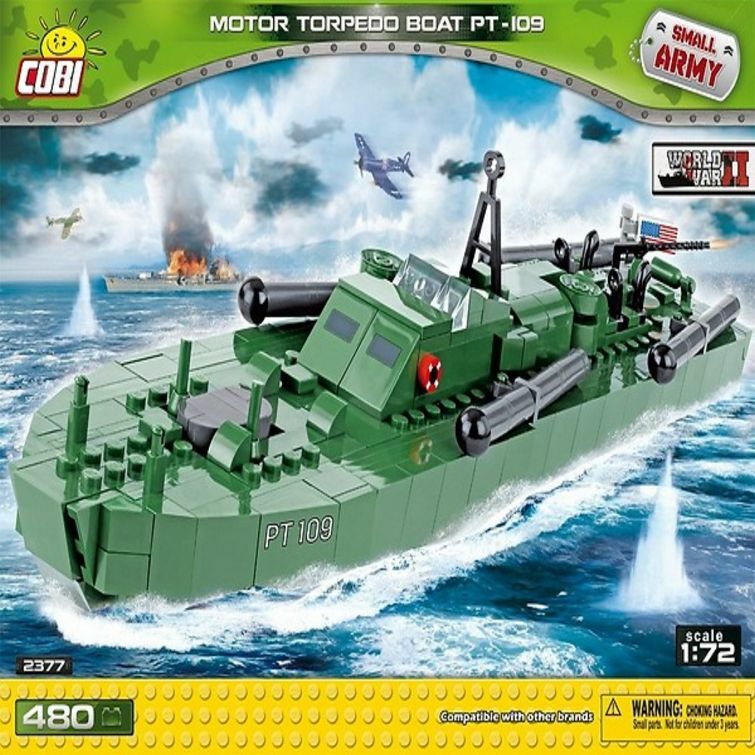 The PT-109 was an American torpedo boat used in World War II. It belonged to the PT-103 class where hundreds of them were constructed between 1942 and 1945 by Elco in Bayonne, New Jersey. The PT109 was equipped with four 21” toroidal torpedoes including Mark 8 torpedoes. 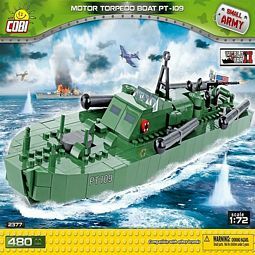 This unique construction block model has small wheels, propellers and an anti-aircraft gun.